Below represents a "in the nut-shell" look at what I have learned over my last 8 years of clinical practice working with the connective tissue and high-performing nervous systems of you talented ballet dancers. I wanted to give you some simple yet effective free self-care strategies as well as studio-care that we offer our dancers at the studio. "Working with Brandon proved to be integral in extending my time as a professional dancer. He helped me find the true sources of misalignment that contributed to limiting mobility and pain. In addition to excellent results from our sessions, Brandon also taught me how to improve my self-care regime outside his studio." These are some brief examples of assessment tools used at Body Epiphanies Massage & Nutrition to determine where to direct manual therapies for each specific individual. Not every session requires testing, however in difficult cases or for professional athletes it is important to assess and reassess to determine if therapies are appropriate for each individual client. This along with the remaining 5 studio-care videos will give you a simple series of protocols to help assess and address fascial-chain dysfunction, trigger points and hypertonicity that may be preventing you from performing at your top-peak level. I hope you enjoy these insights into therapies and strategies used in Boise at Body Epiphanies Massage & Nutrition. This is often needed to decreases over-activity within the gastrocnemius and soleus of the lower leg. 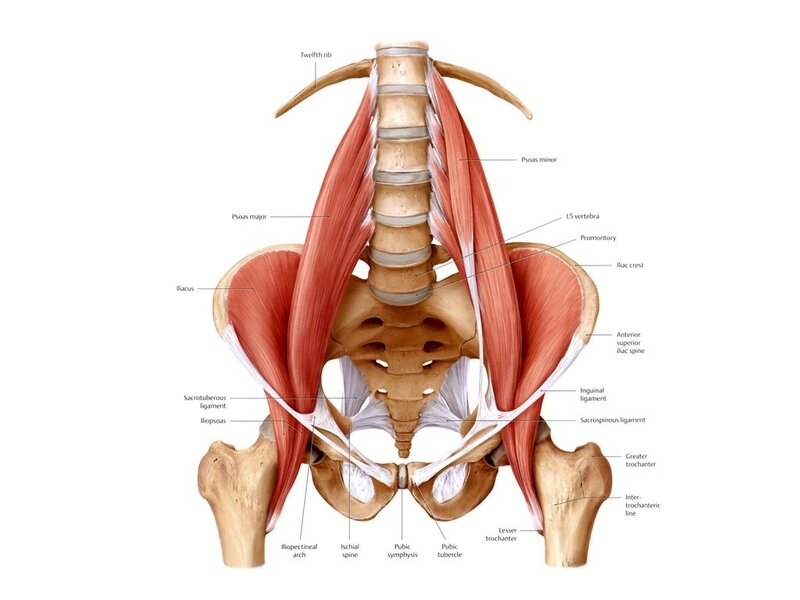 After some assessment with a overhead squat or positive thomas test it can be determined whether or not the need of psoas and illiacus bodywork. This is involved with low-back pain, SI-joint pain, anterior-chain dysfunction, etc. Static Manual Release (Soft Tissue Mobilization) of the Flexor Hallucis Longus and Flexor Digitorum Longus (FHL & FDL). This is absolutely necessary to treat in nearly any and all ballet dancers due to the stress-load put on this particular muscle and surrounding tissue. Commonly used static release techniques for the anterior adductors that tend to get over-loaded in ballet dancers. This, as with each one of these videos represent some of the more commonly address tissues, the clinical reasoning, assessment and treatments. ​To break it down, it involves inhibiting tonic (or tight) musculature via self-myofascial release (foam rolling), inhibiting further through selective dynamic warm-ups, along with stabilization drills for the anterior and posterior portions of the hip. Afterwards, a specific low load, long duration stretch is recommended in order to facilitate actual length if adductor length is determined to be short. Stretches To Improve Flexibility - 8 Minute Basic Dance & Ballet Stretch Exercise Routine In this video, Donnie shares the basic stretches to increase flexibility in the legs, hips and back. This is great to help with the splits and is perfect for ballet, dance or cheerleading. Personal trainer Kai Wheeler shows you how to release the calf muscles. Trigger points in the gastrocnemious and soleus can refer pain to the feet, achilles and the calf. Common symptoms are plantar fasciitis and cramps in the calves. A great foot self-care strategy to keep your connective tissue healthy. 10 Day Flexibility Challenge Day 1 – Basic Stretches & Warmup Workout Dance with Catherine This is a series of 10 videos designed to improve your flexibility for dance, cheerleading, gymnastics, Ballet or just general fitness. ​This webpage contains affiliate links, which means Brandon may receive a percentage of any product or service you purchase using the links in the suggestions above. You will pay the same price for all products and services, and your purchase helps support Brandon's ongoing research and work to help create meaningful content for the those in the Treasure Valley. ​This also helps keep the e-mail consult costs down. Thanks for your support!